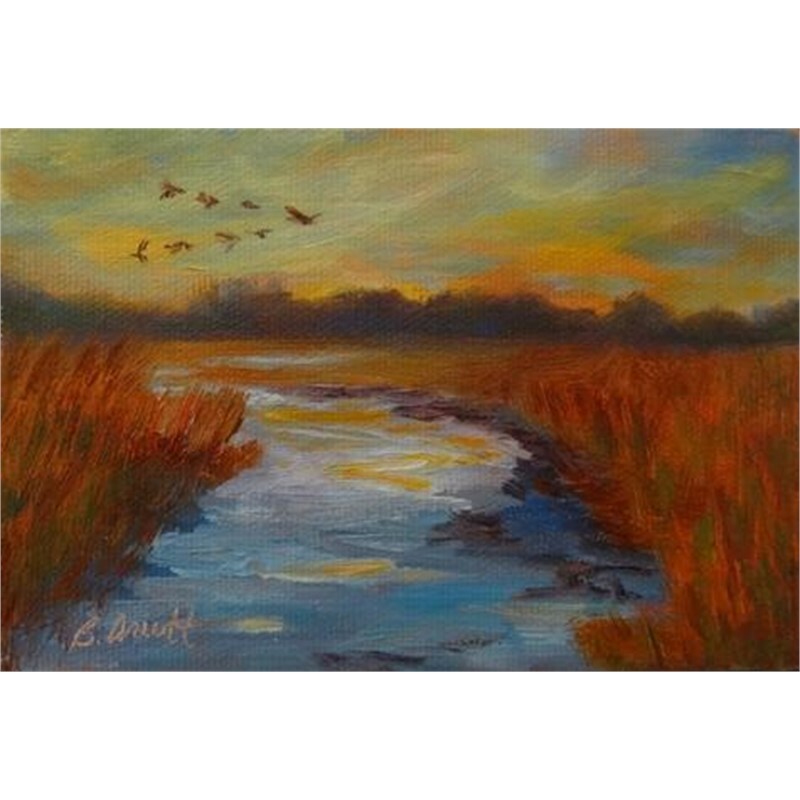 Brenda Orcutt was born and raised in the Carolinas and has called Charleston home for the past 17 years. 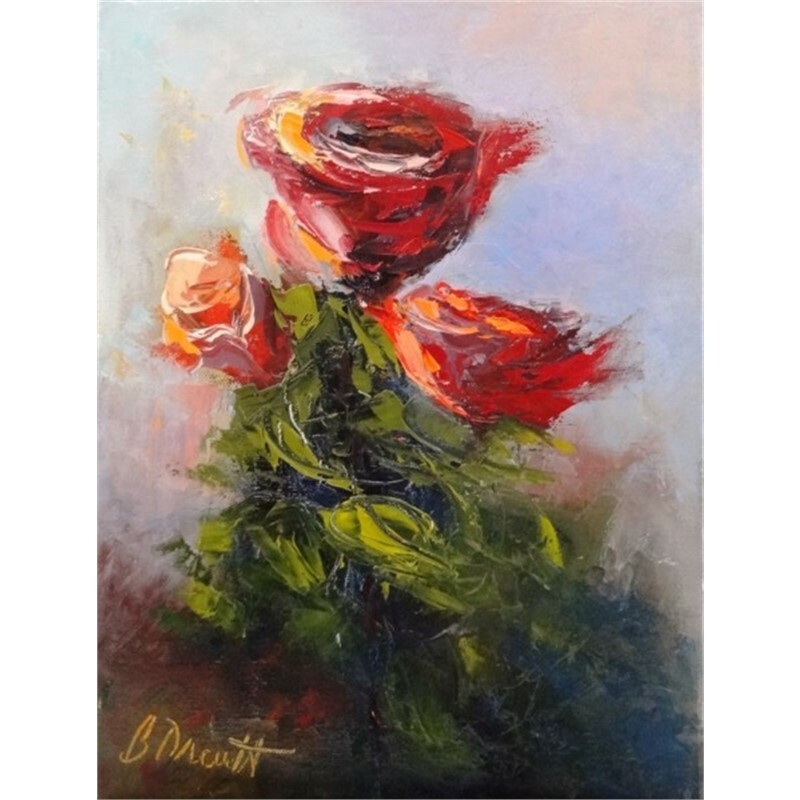 Her artistic methods have advanced and diversified as she has continued her education and developed her own personal style. 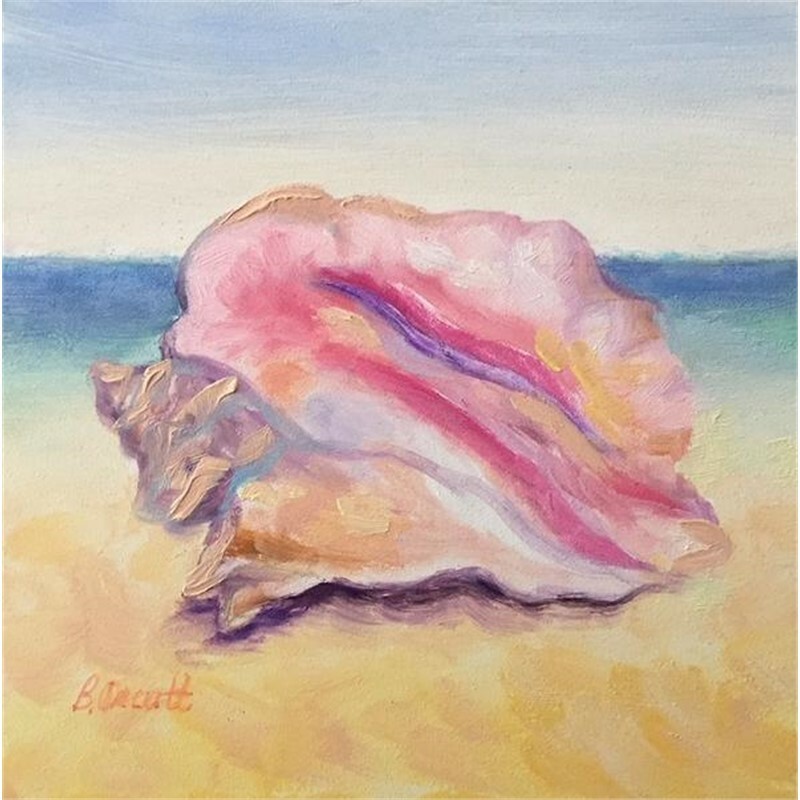 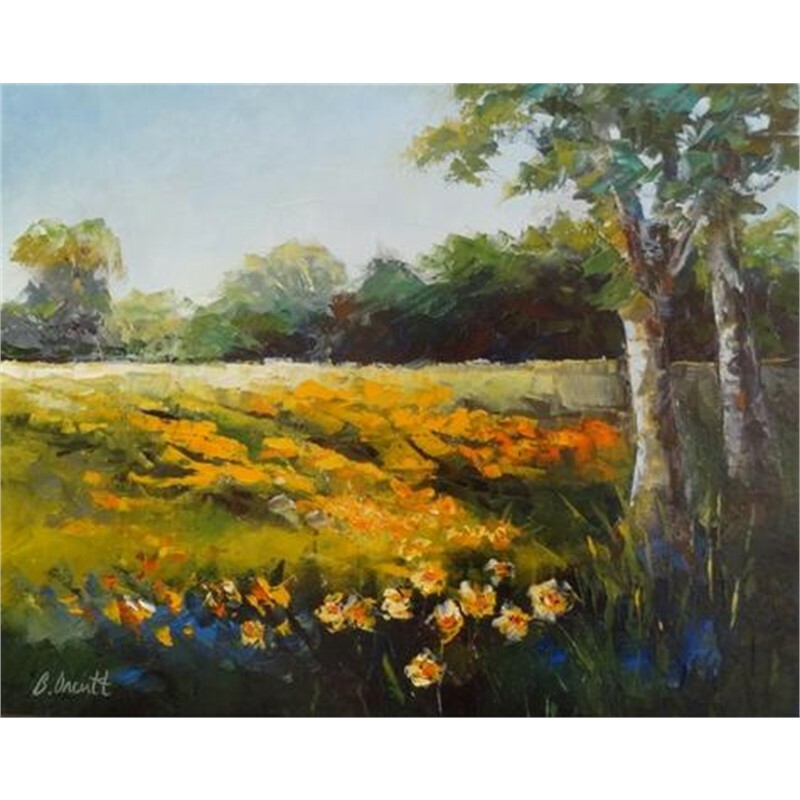 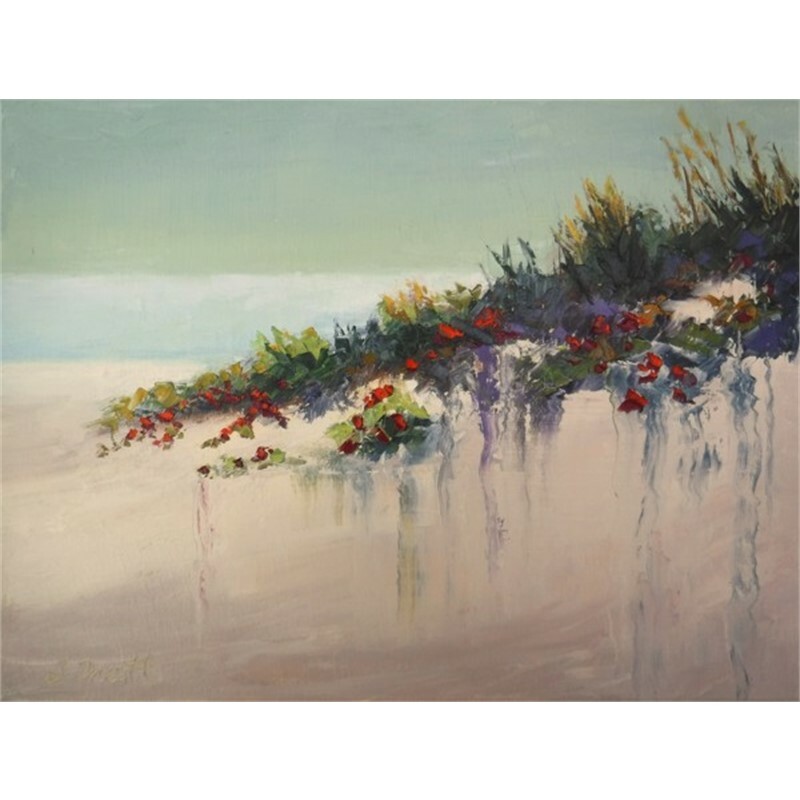 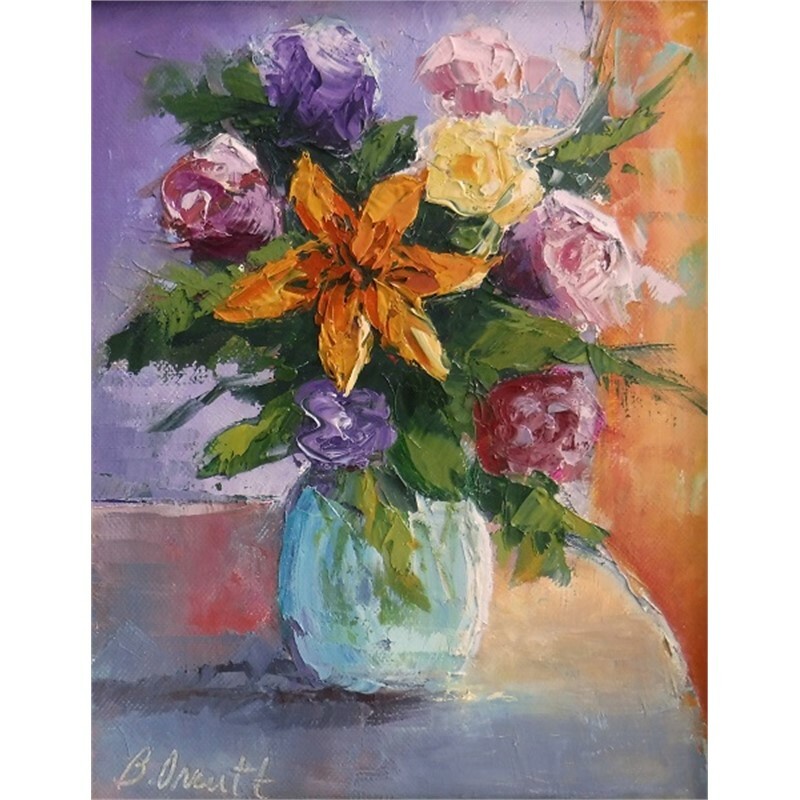 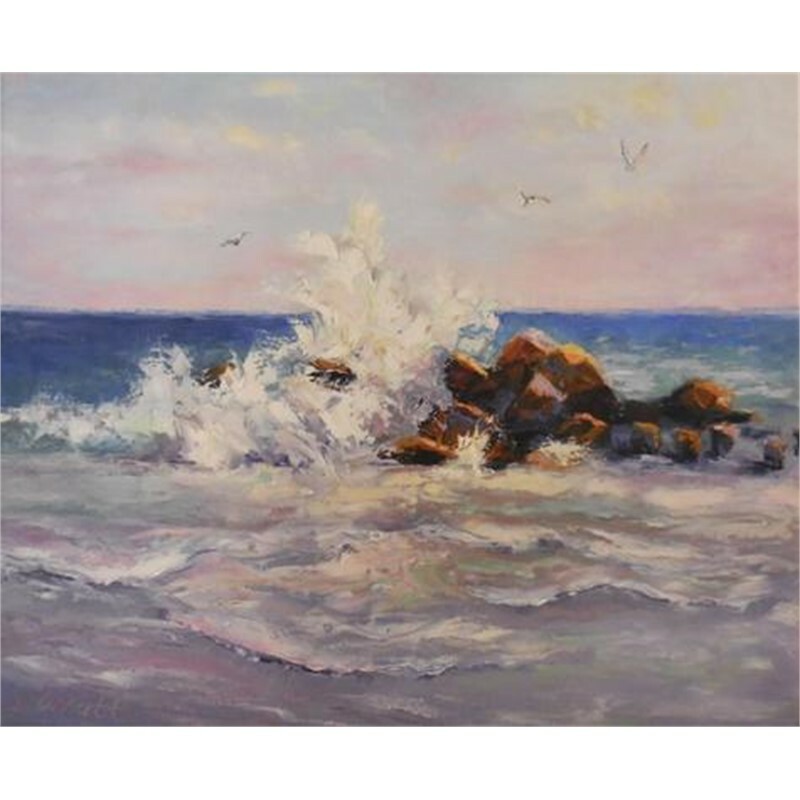 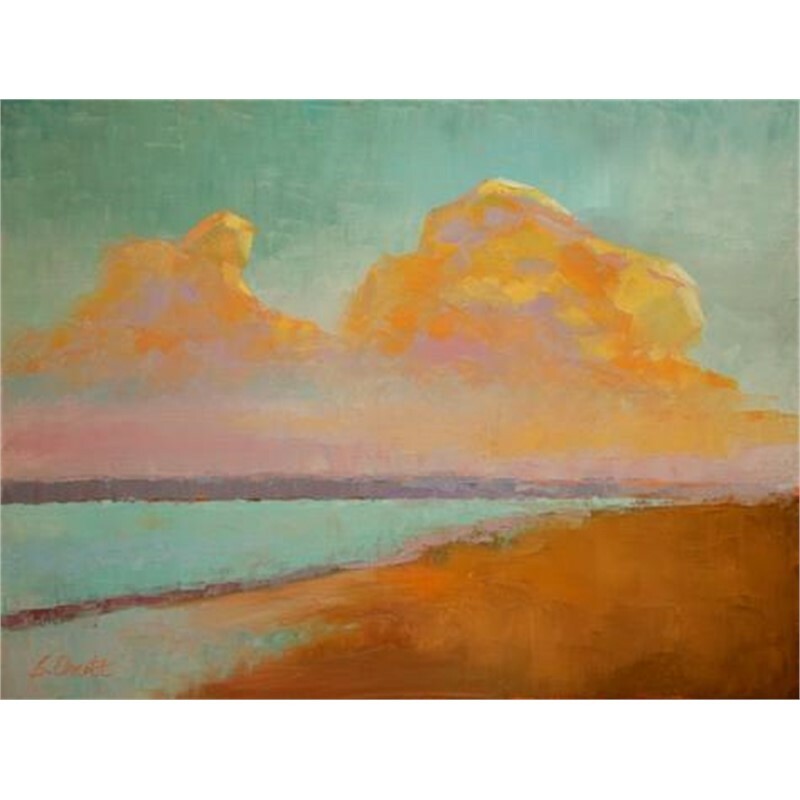 Orcutt studied under noted Charleston artist Joyce Hall and advanced her palette knife techniques with internationally renowned artist James Pratt, then continued this study with Susan Sarback, of the School of Light and Color in California. 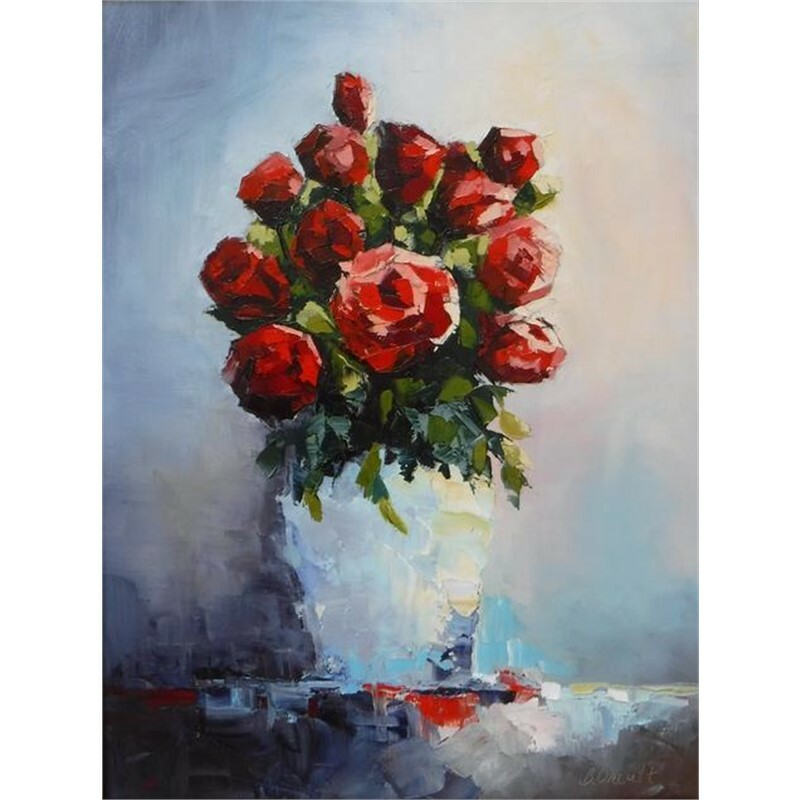 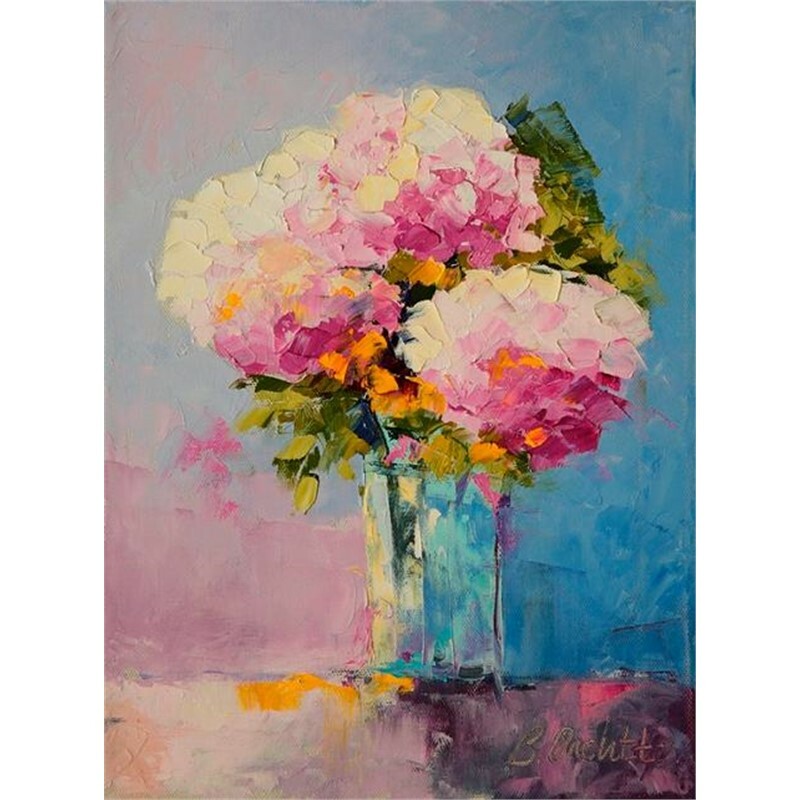 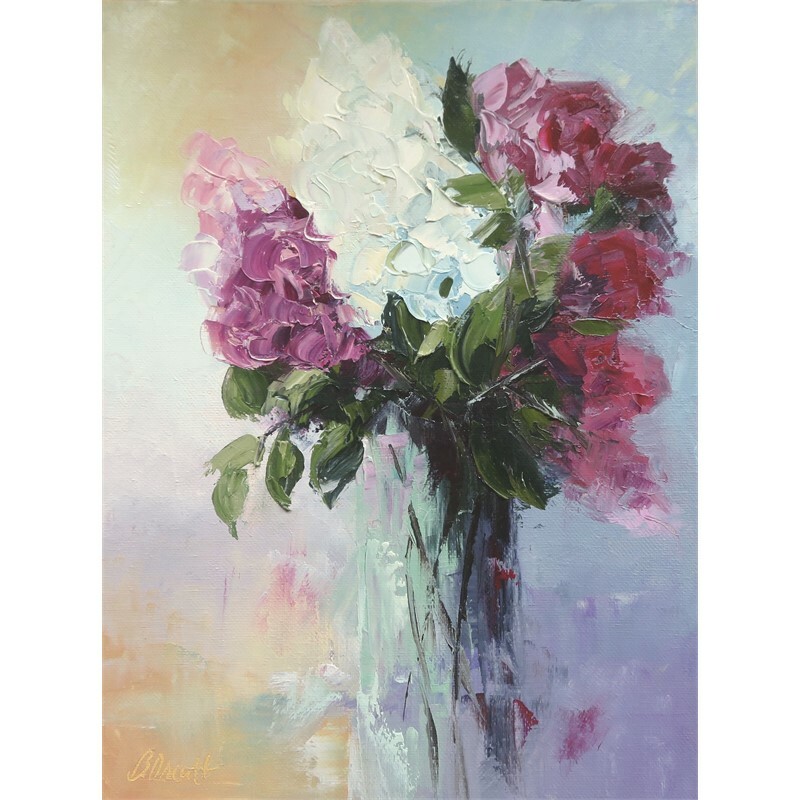 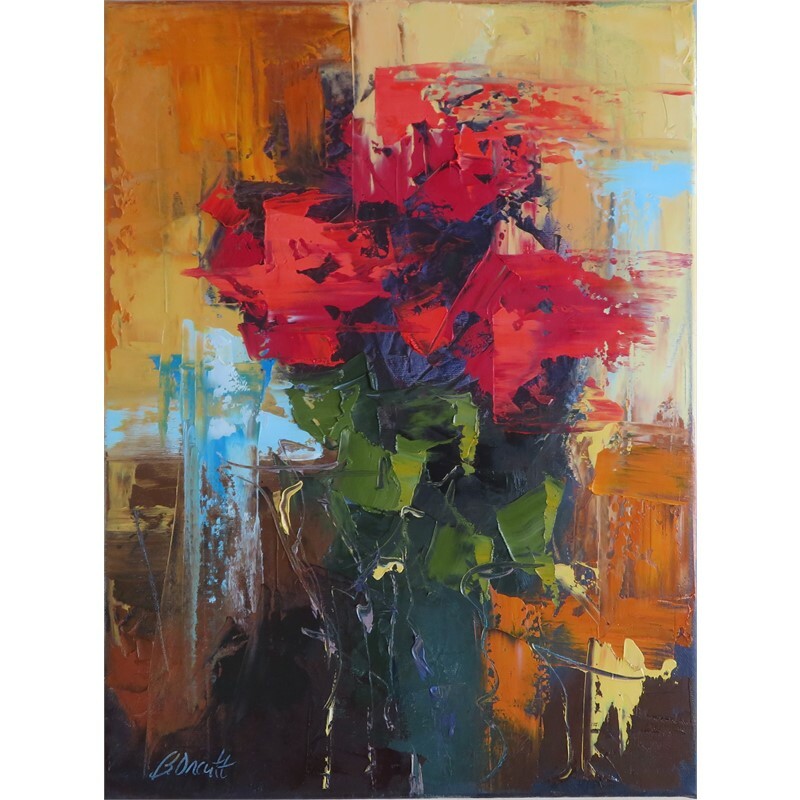 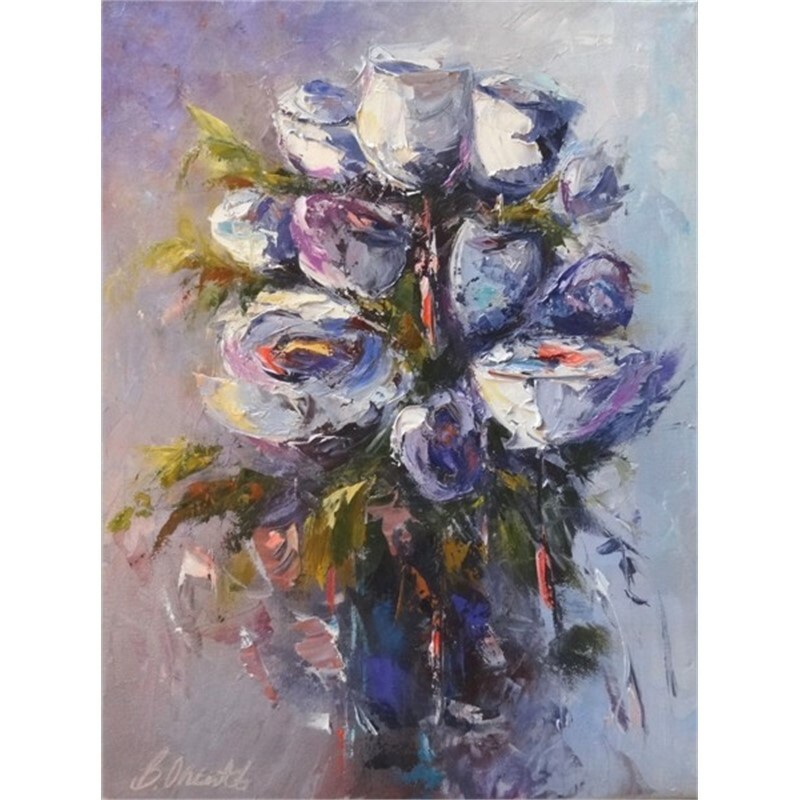 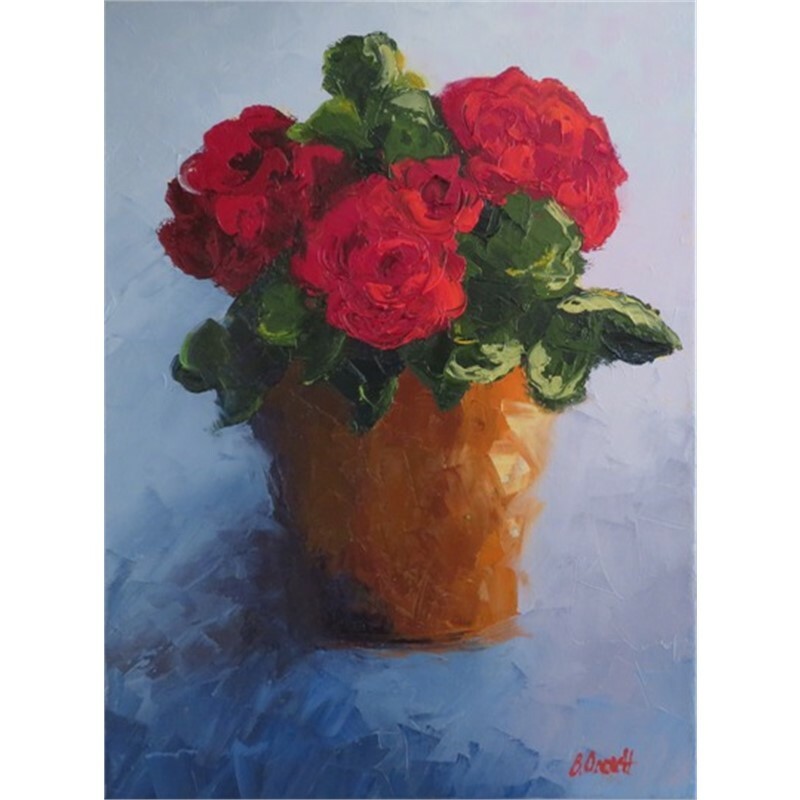 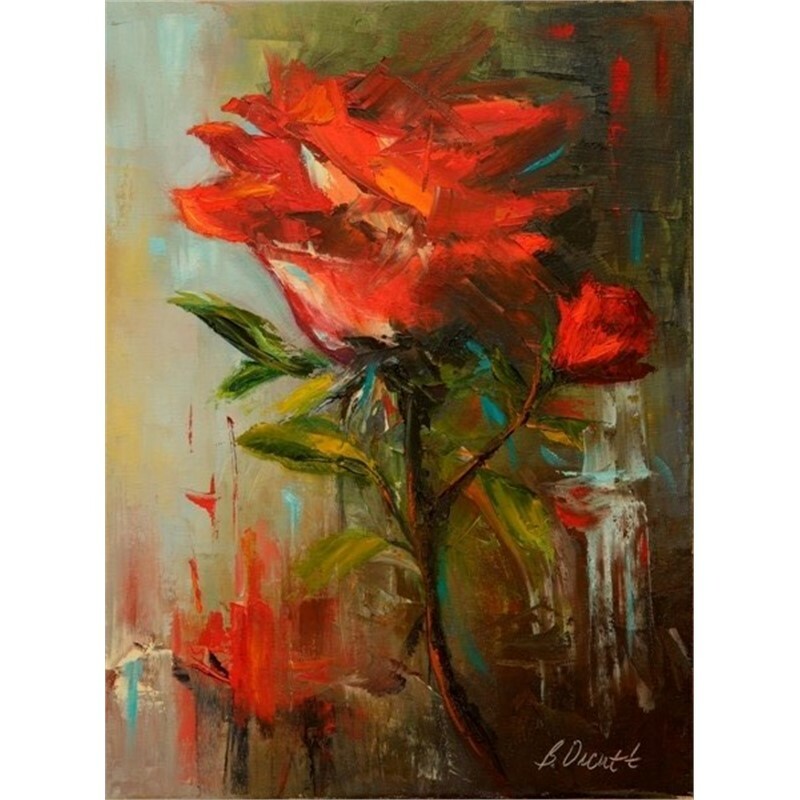 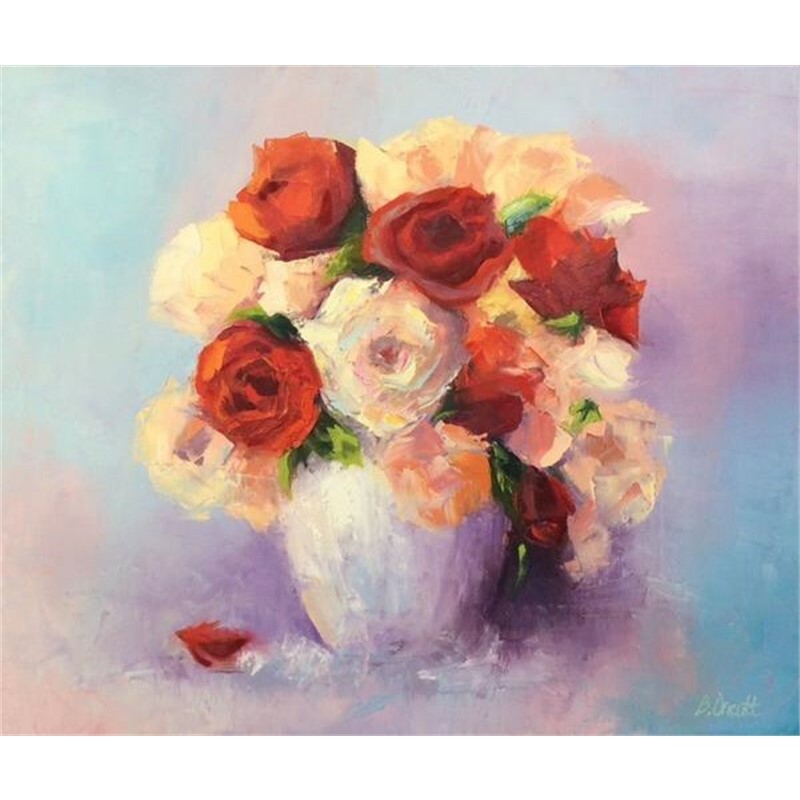 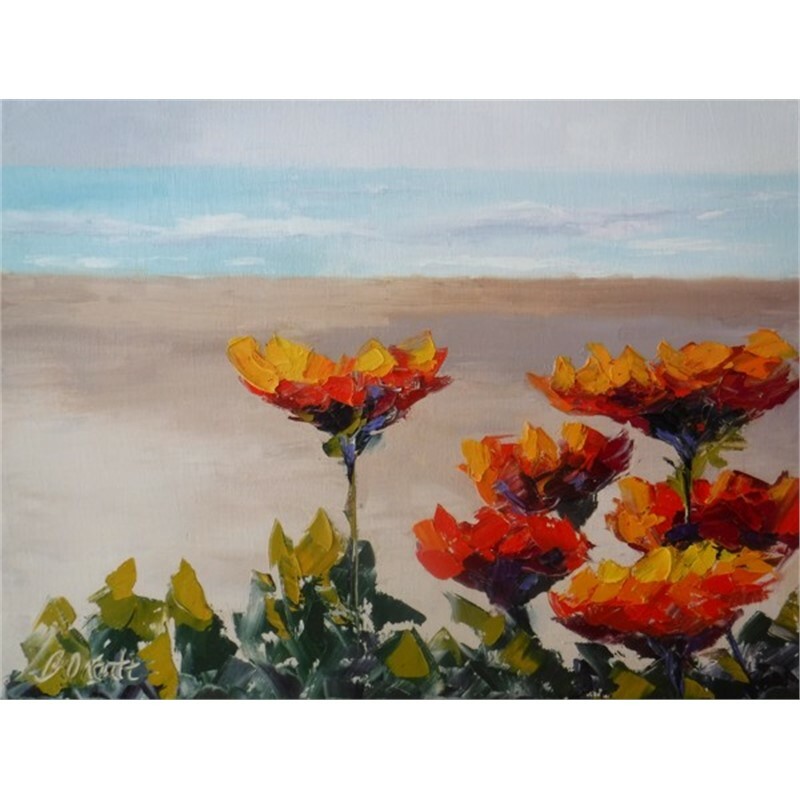 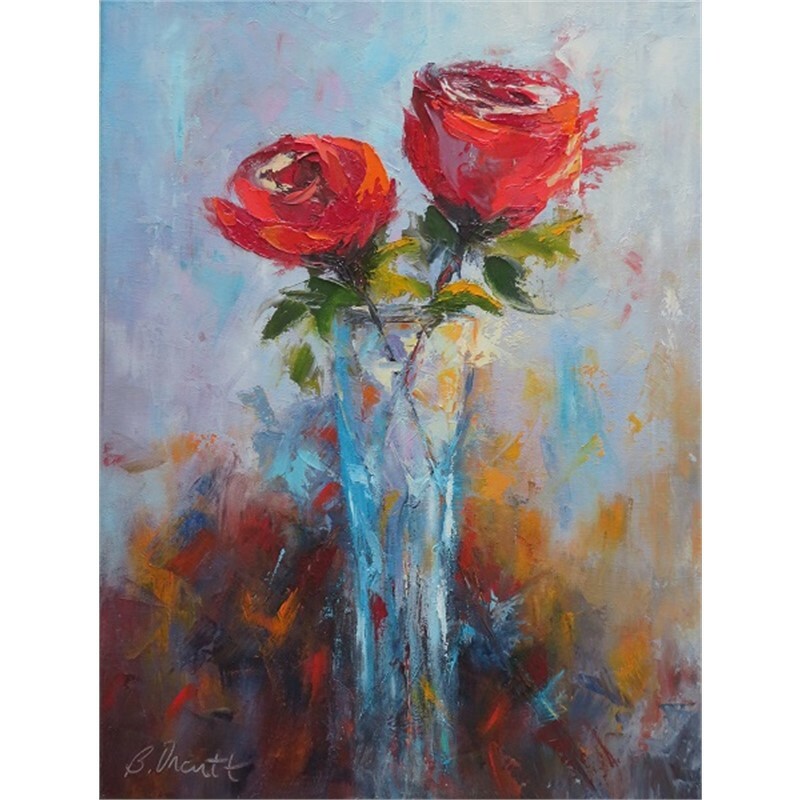 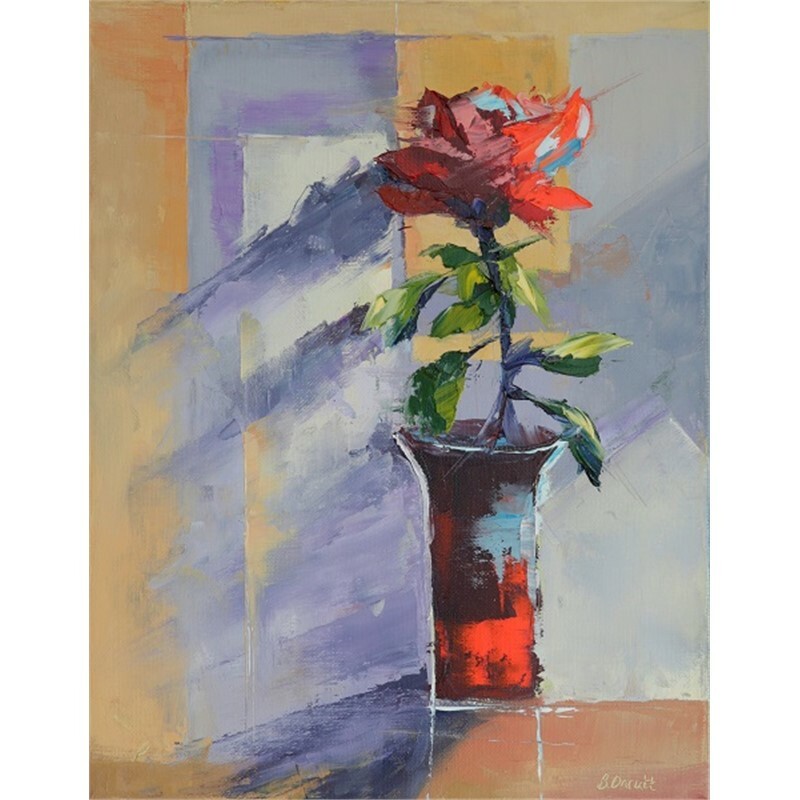 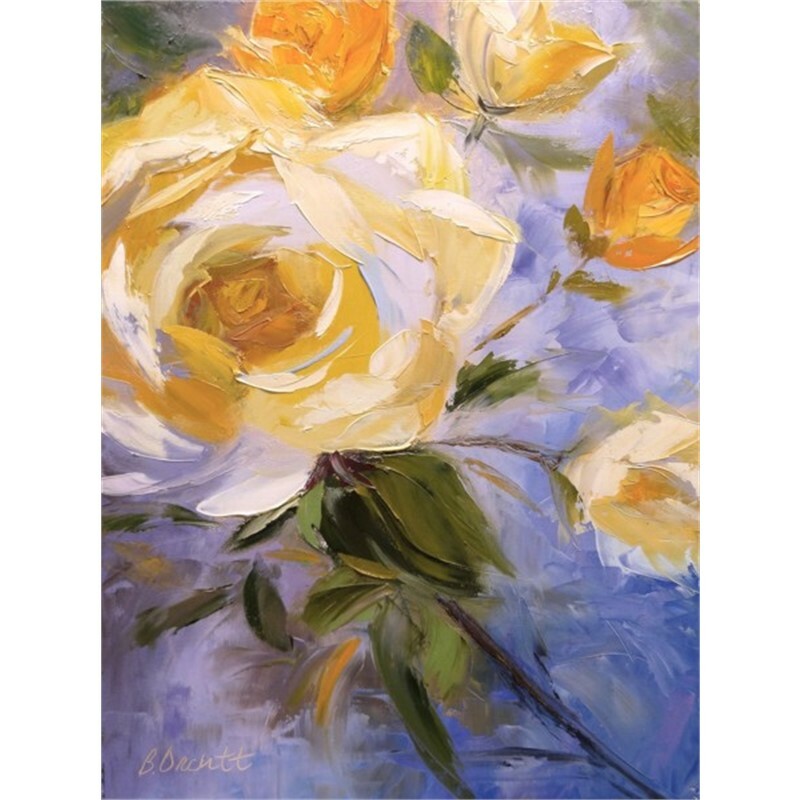 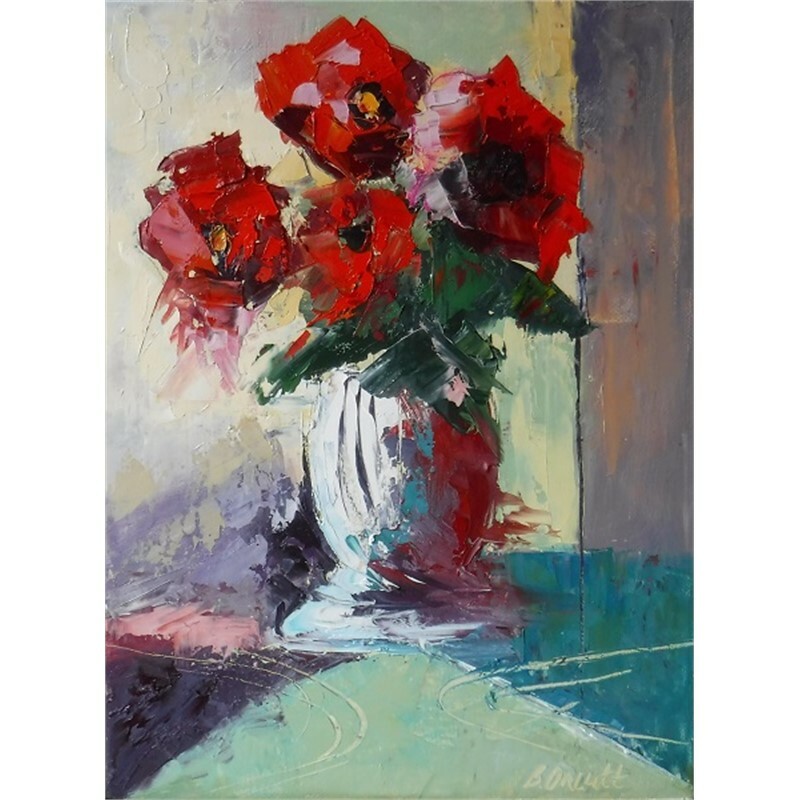 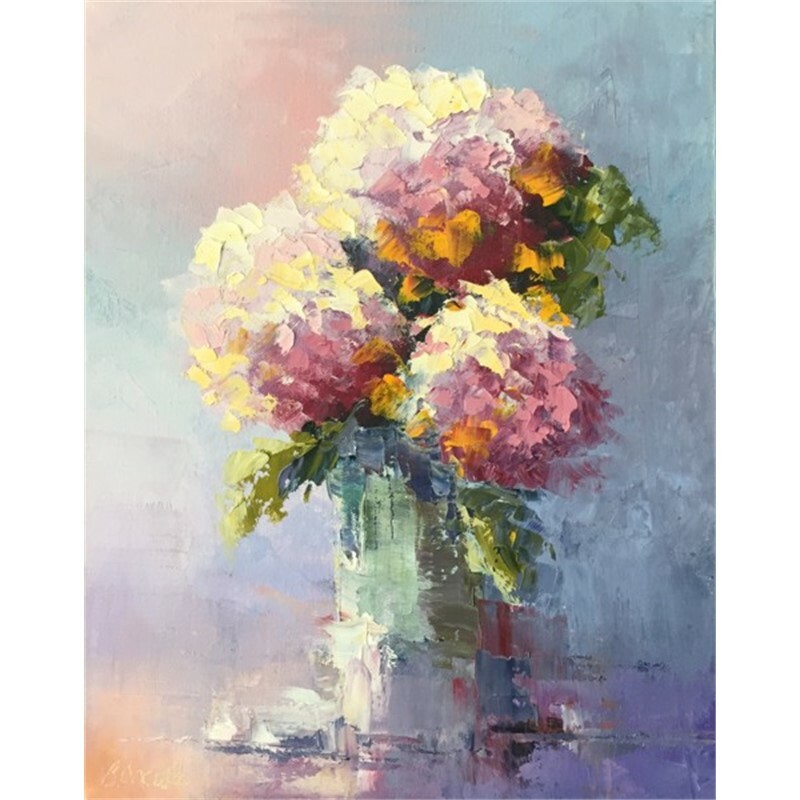 Working in oils, Orcutt painted with a brush for many years, but was intrigued by the texture and purity of color that the palette knife process allows and now uses this method extensively in her work. 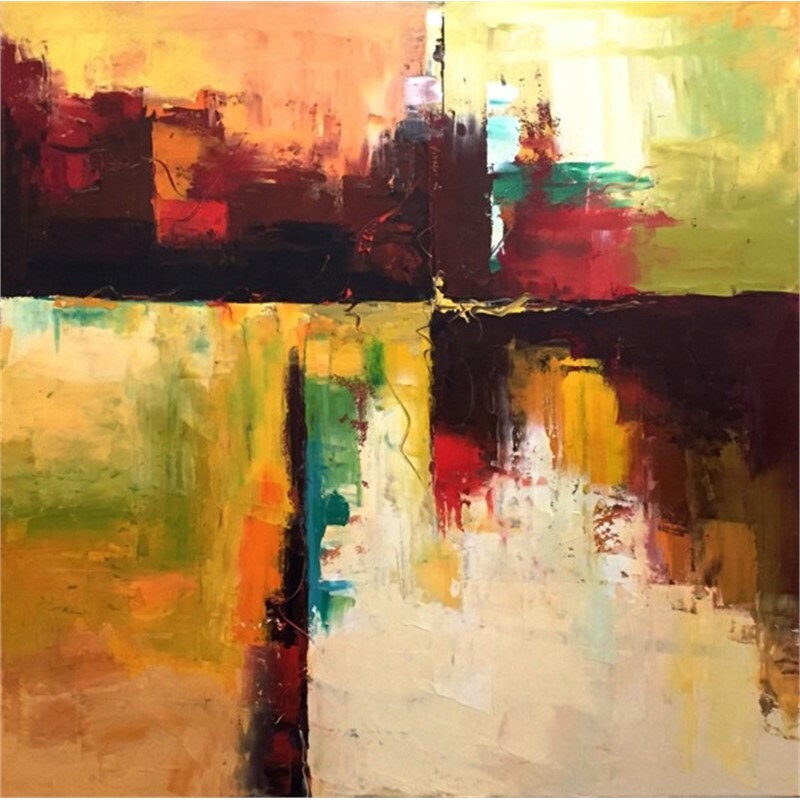 She is deeply inspired by the richness and contemporary feel the technique produces. 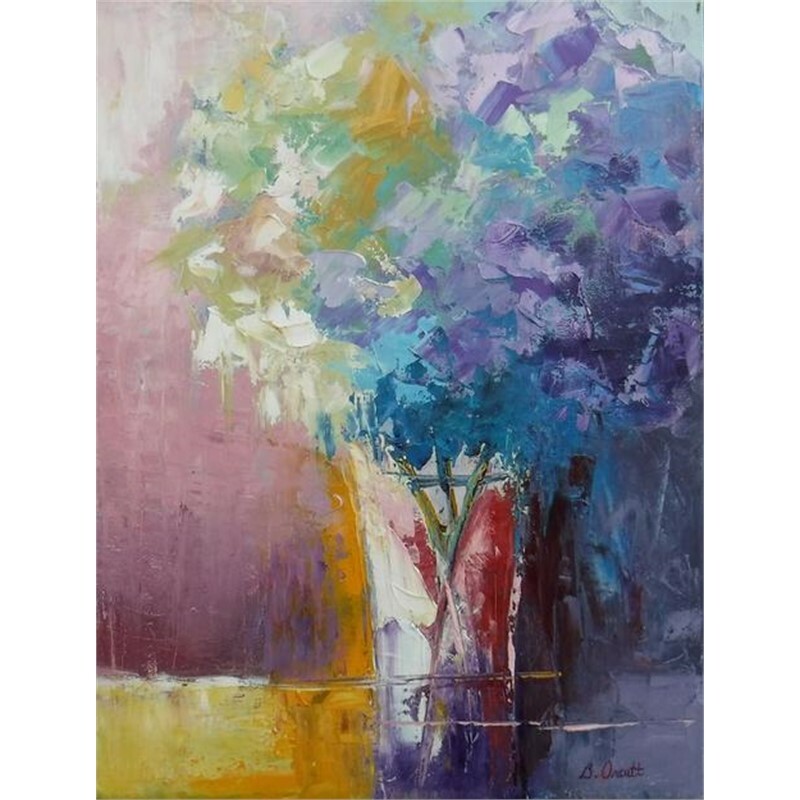 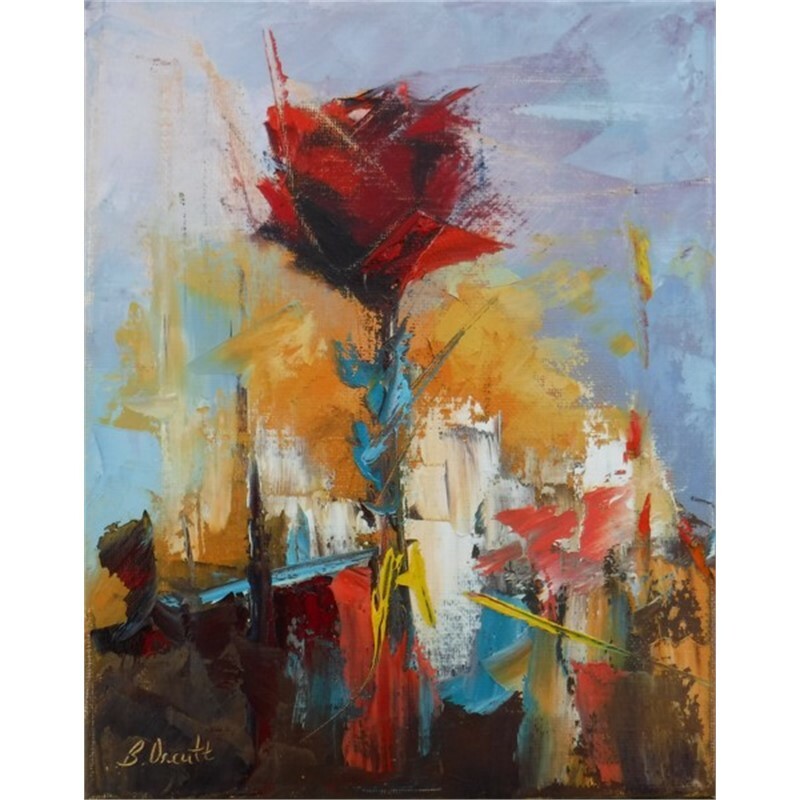 "I've always loved the drama of thickly applied paint, the sculptural quality, the purity of the colors. 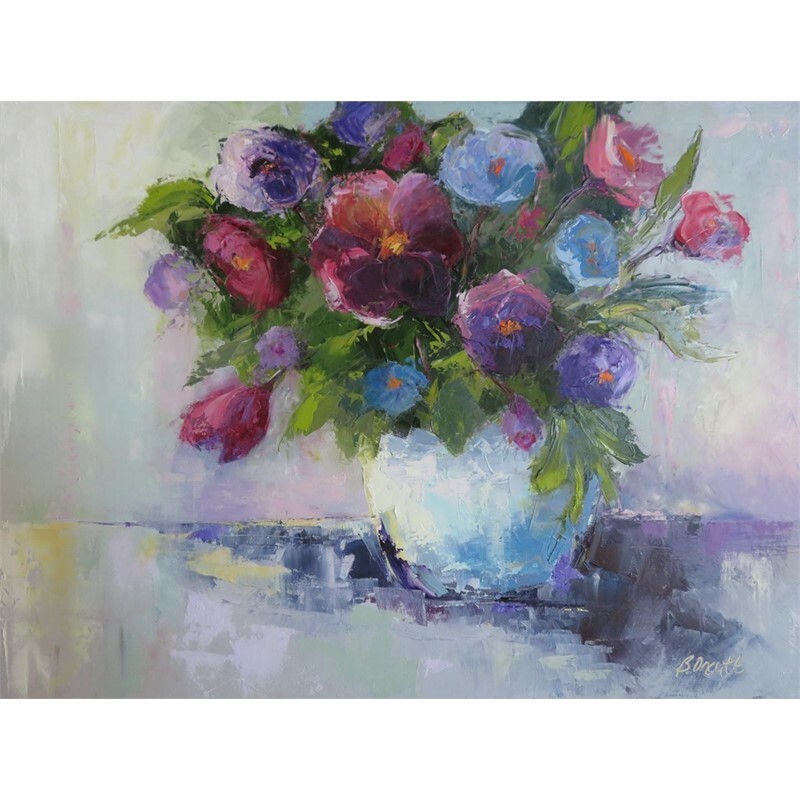 The response from people who view the work has been very positive." 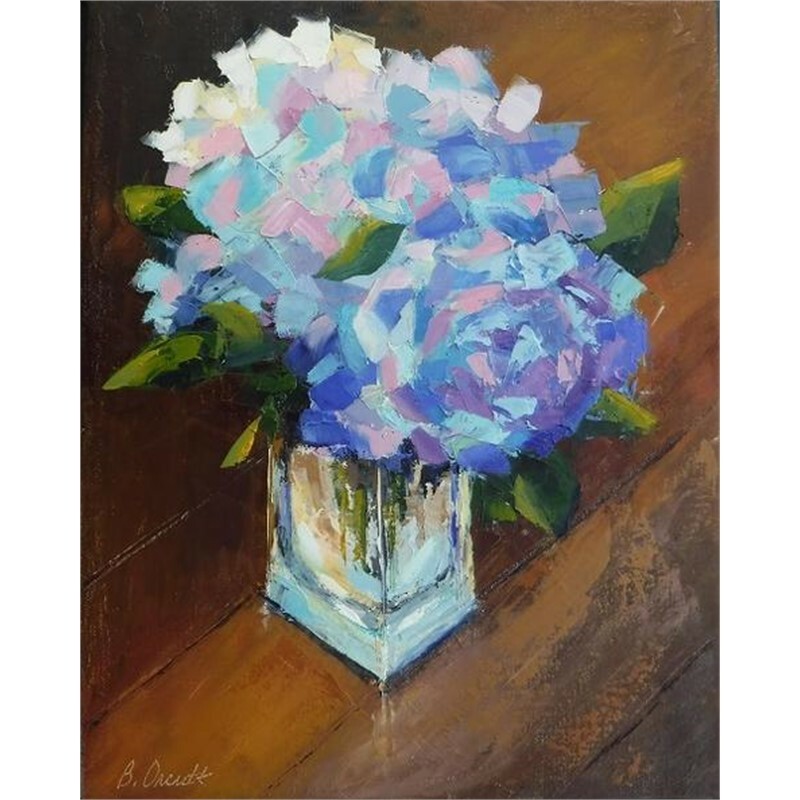 Hallmarks of Orcutt’s paintings are loose but deliberate palette knife work, strong color and heavy impasto. 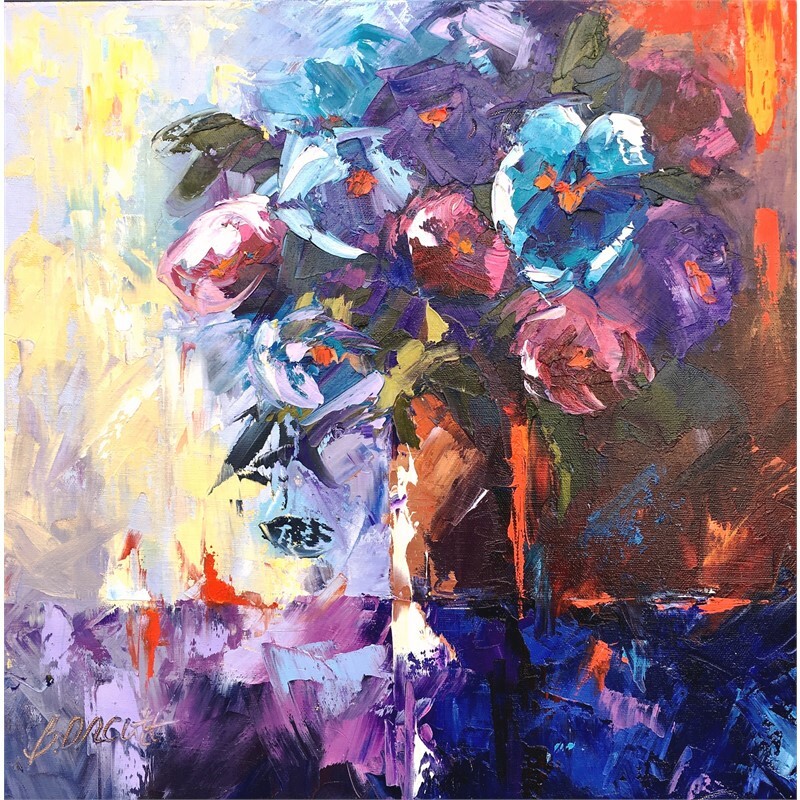 The knife lets her use paint strokes to show spontaneity and movement in her work. 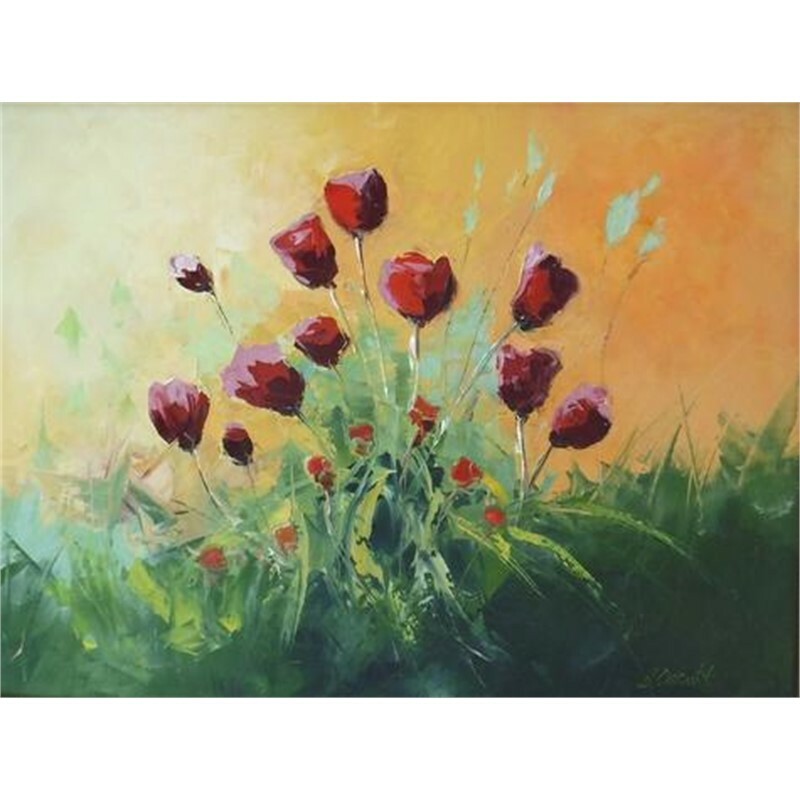 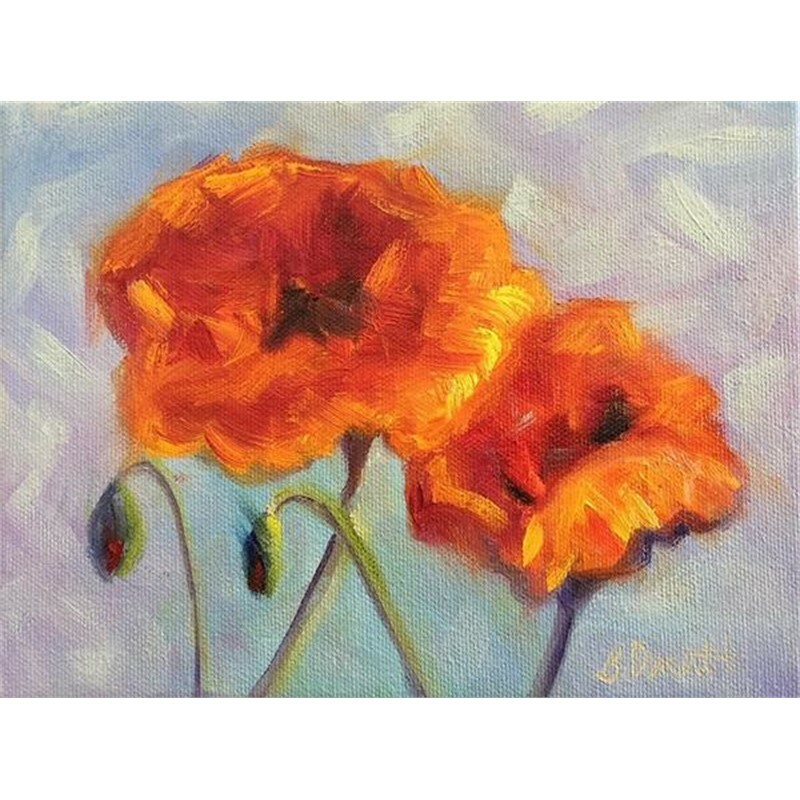 She paints quickly, alla prima, using texture and bold color to capture her subjects without perfecting form. 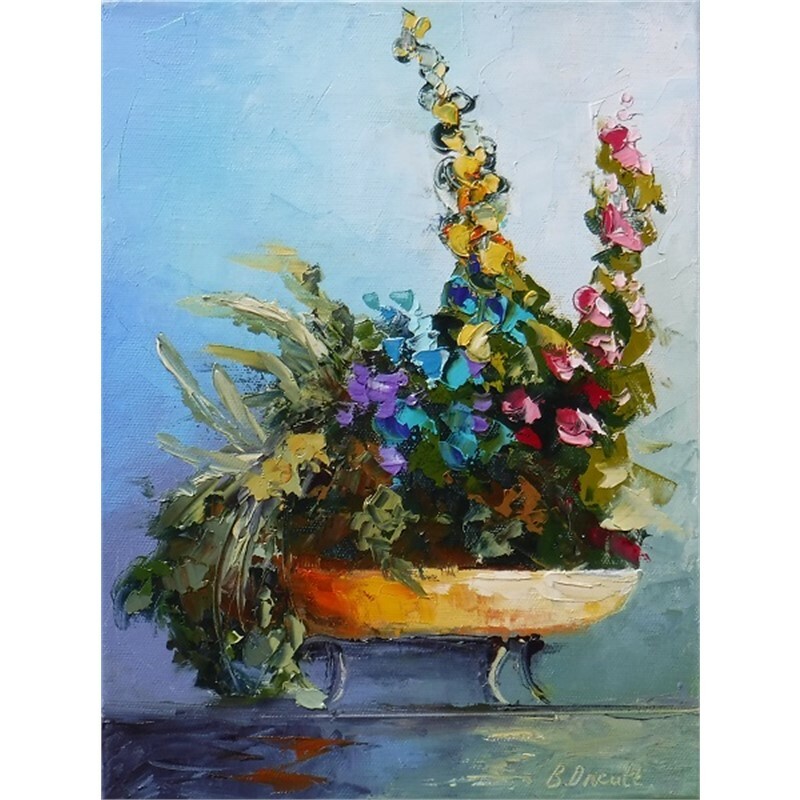 Her goal is not to reproduce a landscape or still life with precision, but to translate the creative concepts into an artistic image. 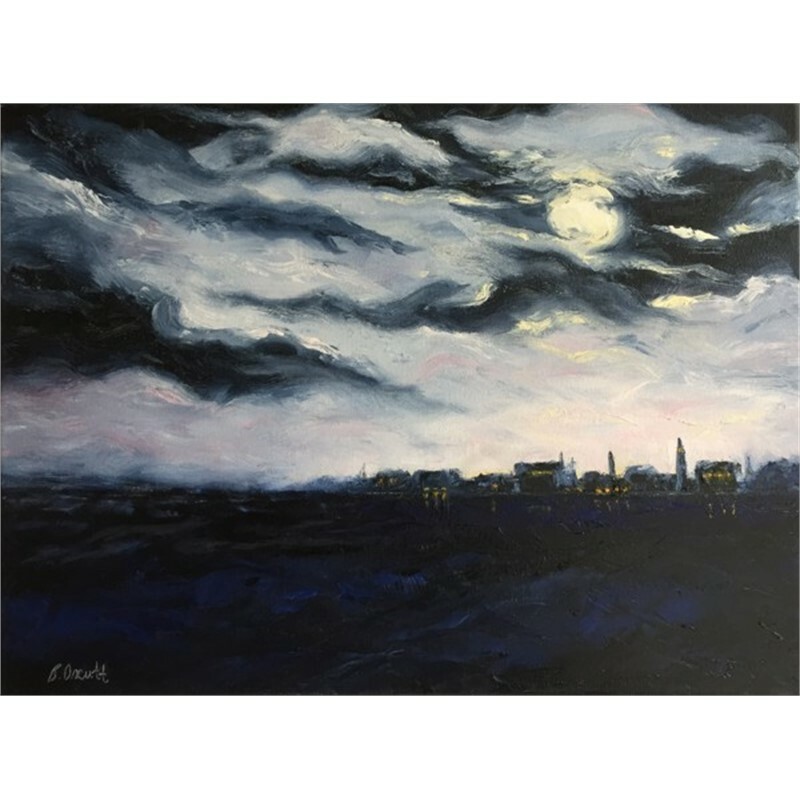 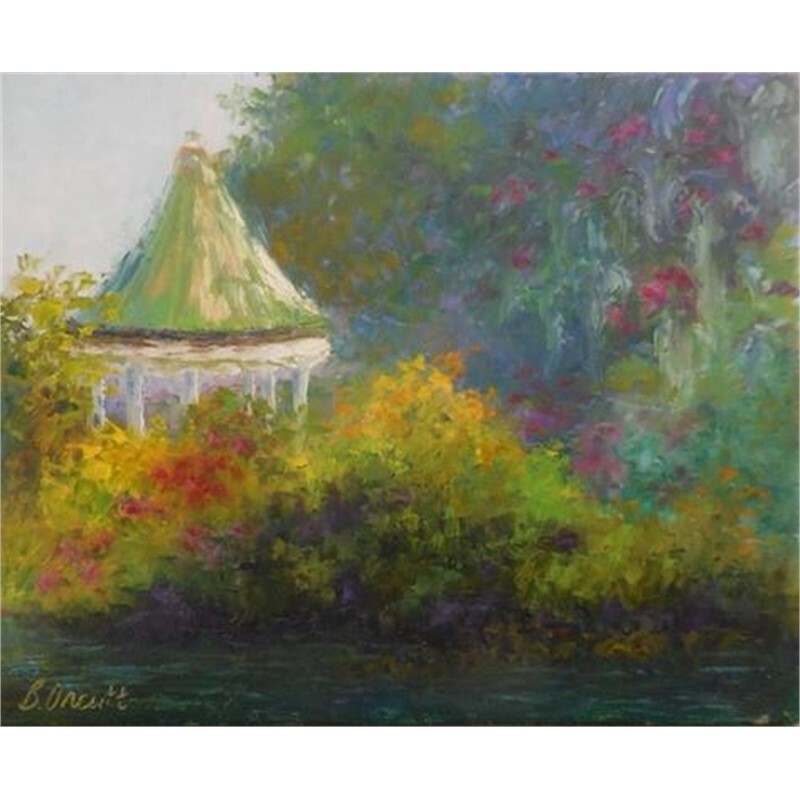 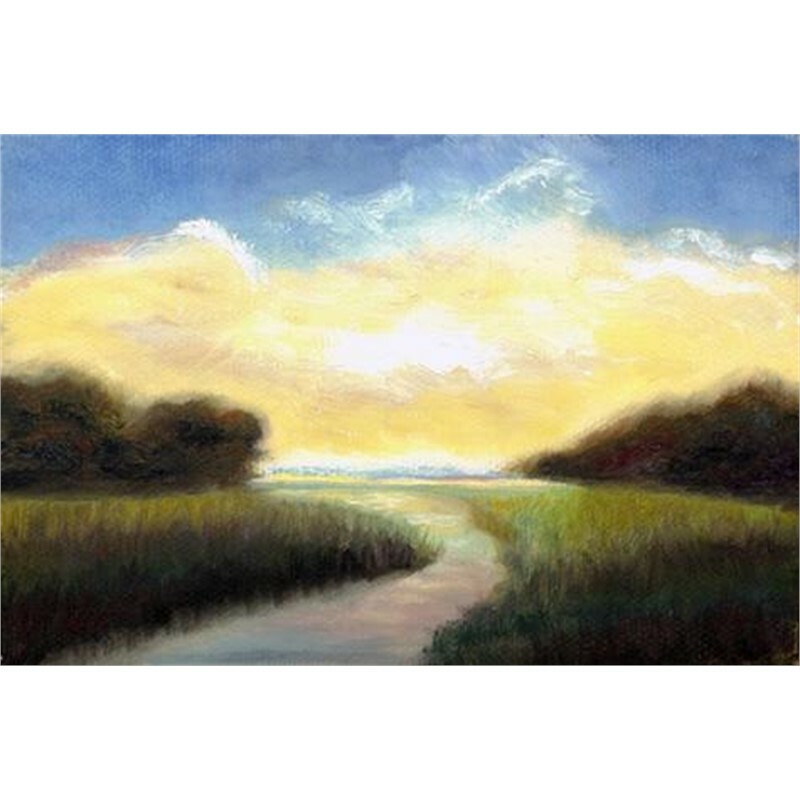 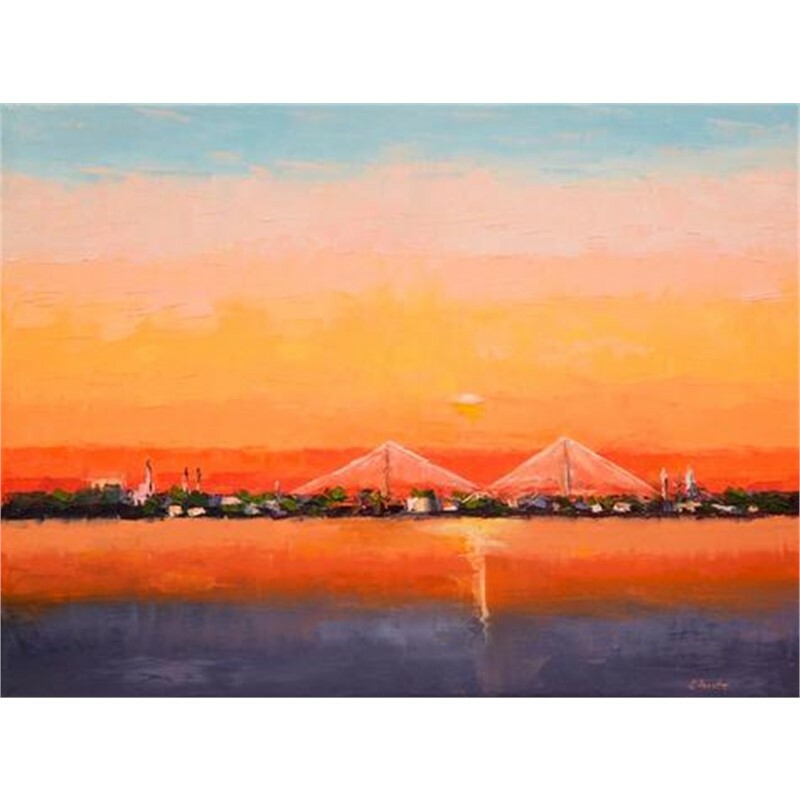 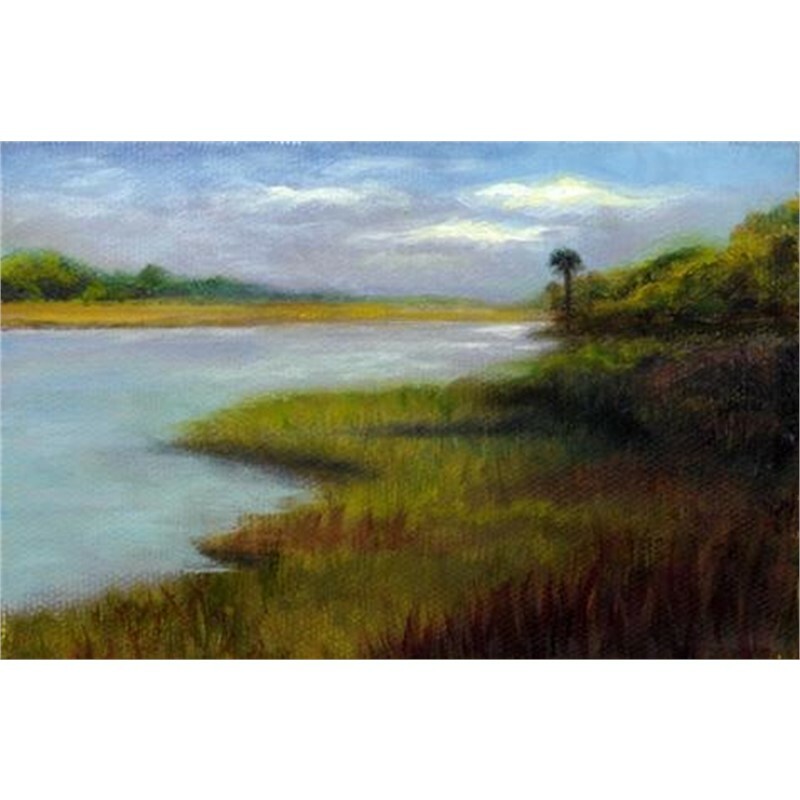 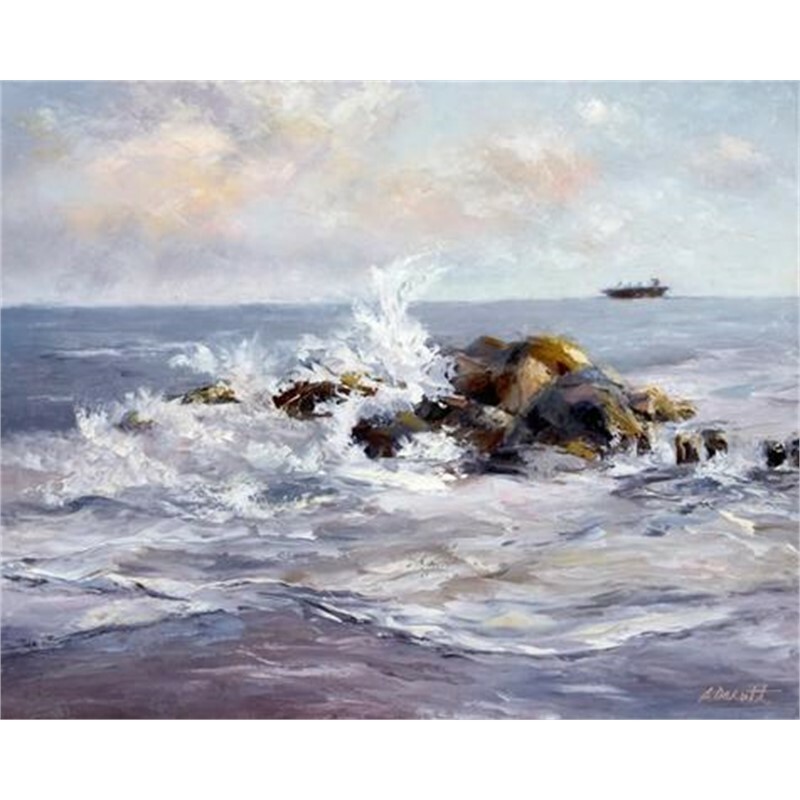 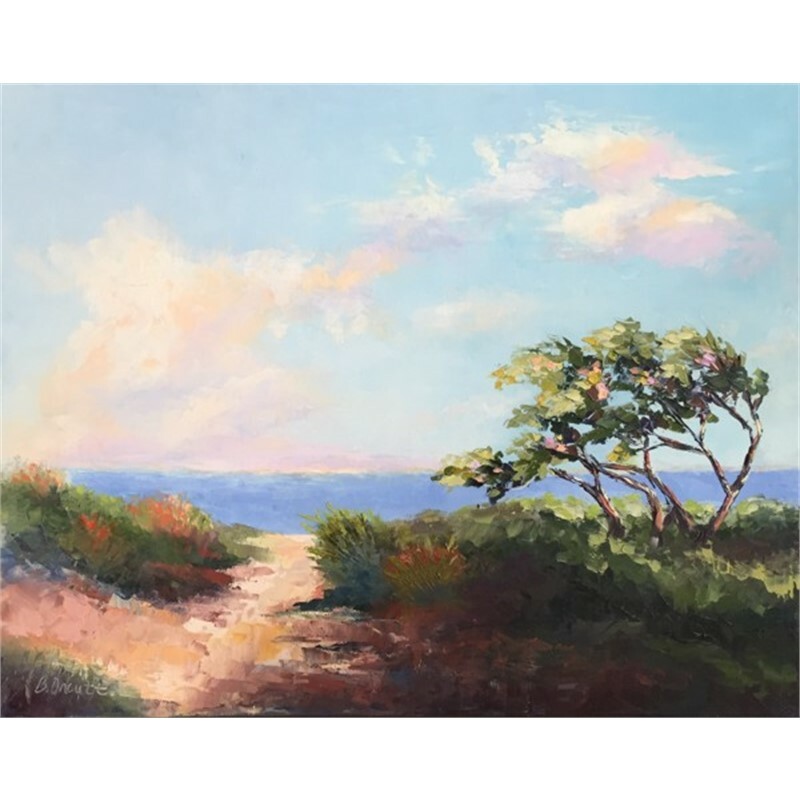 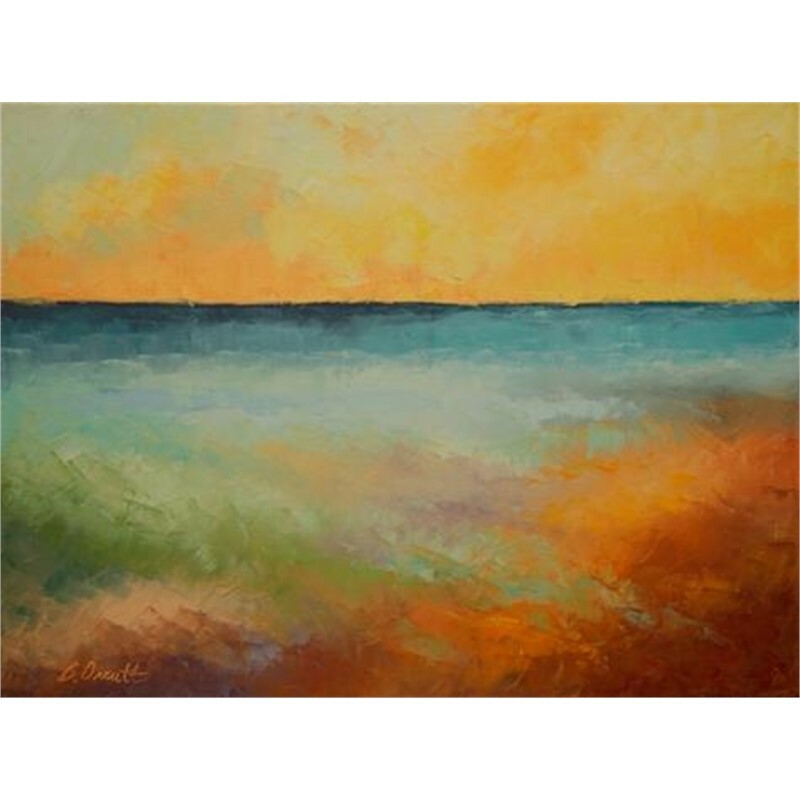 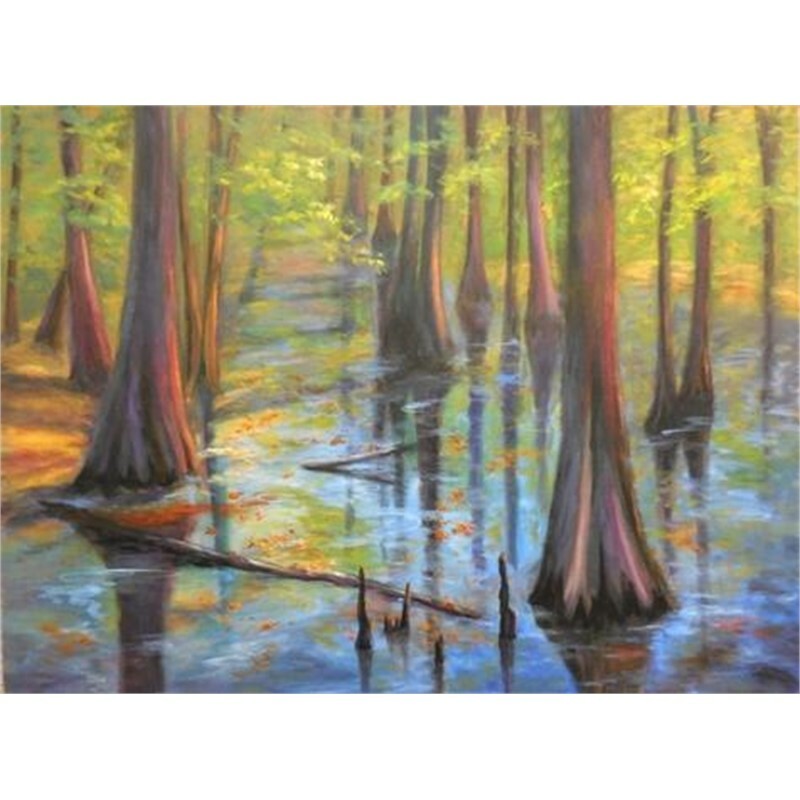 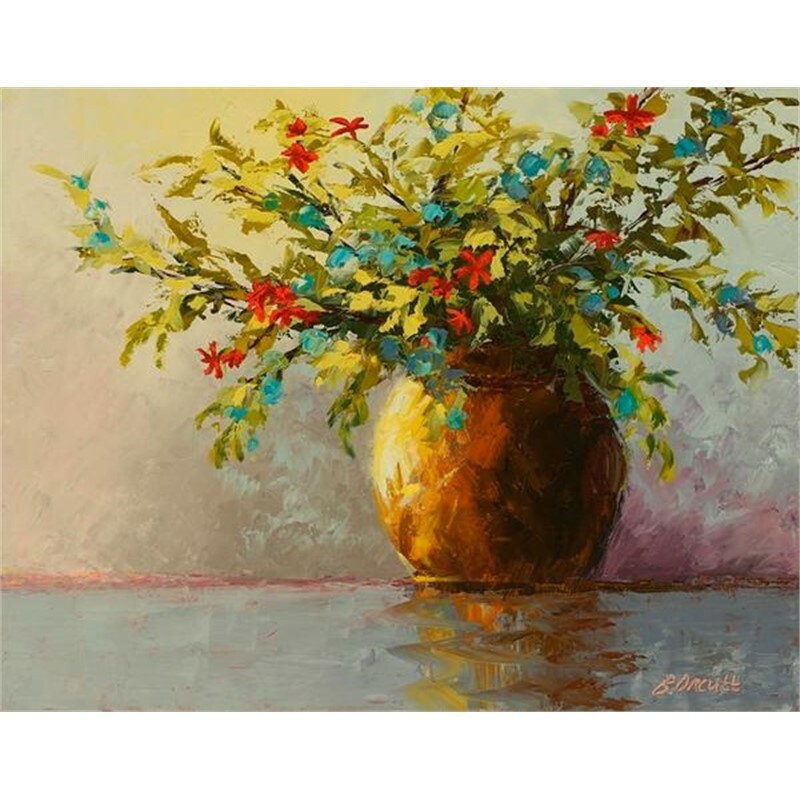 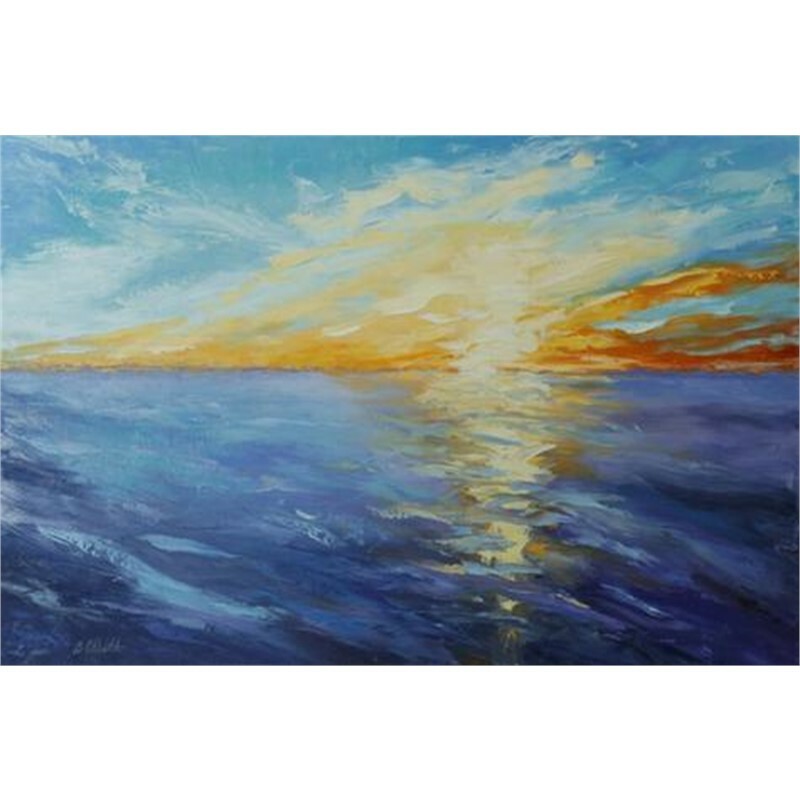 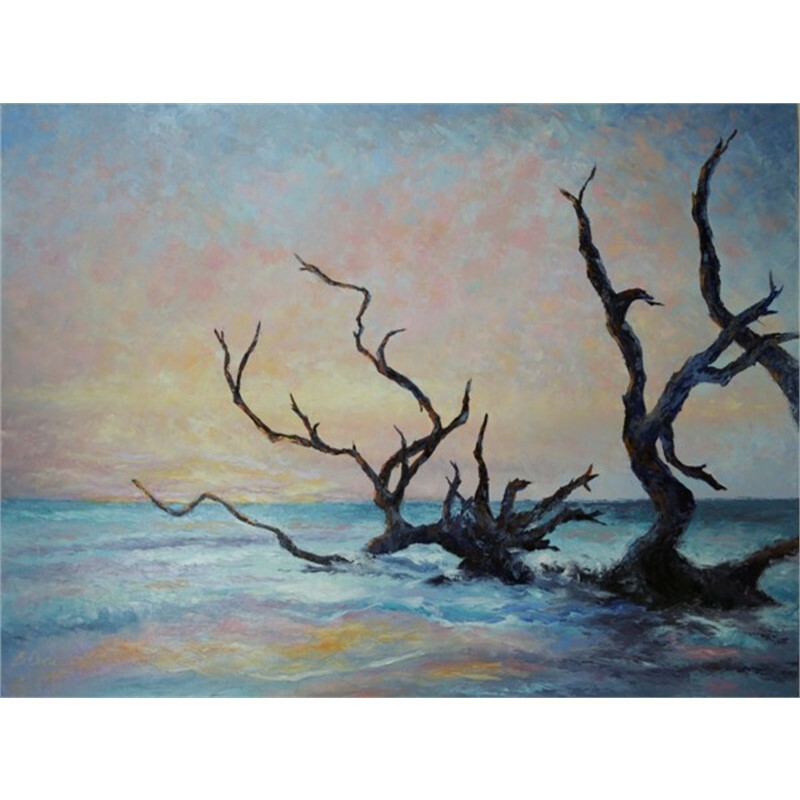 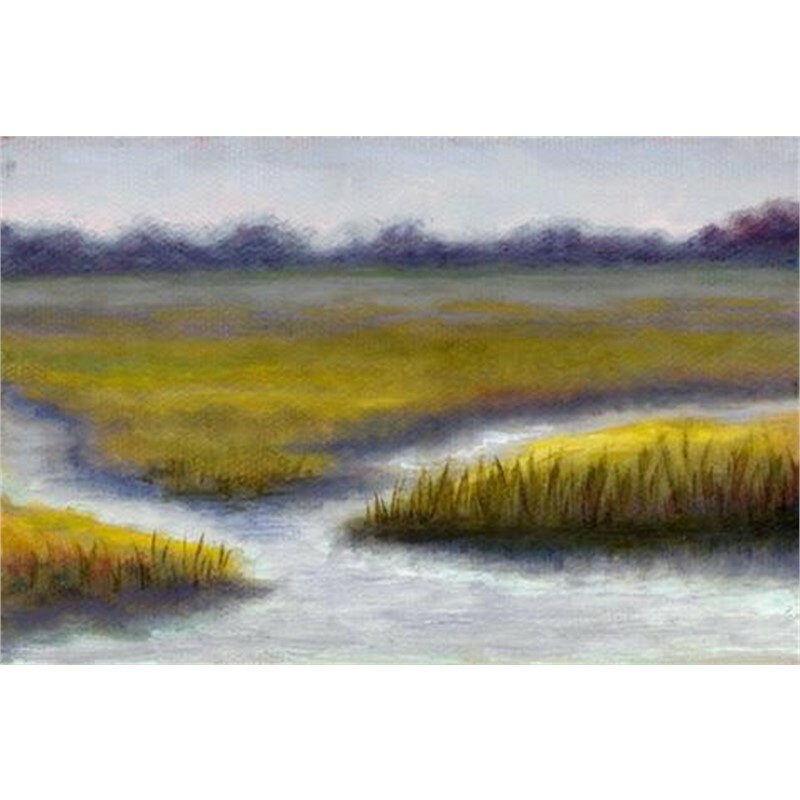 Depictions of Charleston across the watery expanse of its harbor with interpretations of skies and water reflections, low country flora and fauna in all their glory and wild flowers or bouquets that convey a sense of peace, quiet joy or even solitude are favorite subjects of the artist. 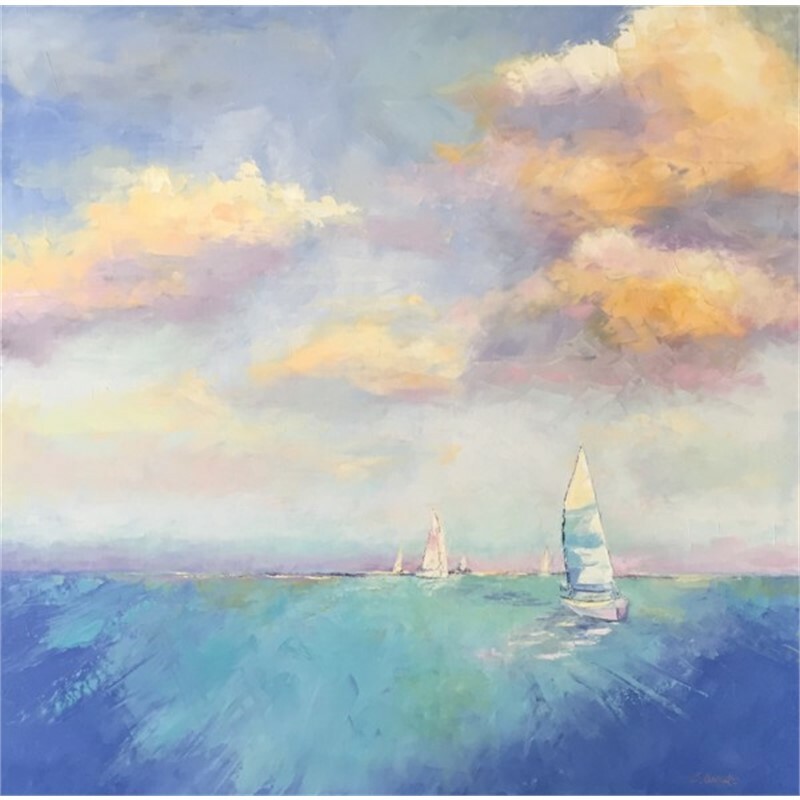 Each composition reflects the beauty the artist sees in the world around her and invites the viewer to step back from life's frenetic pace and journey with her.